'Abdu'l-Bahá's Journey in the West . . .: May 19, 1912 Unbearably beautiful . . . The following entry by Mahmud is more restrained (and less descriptive) than Juliet's, below it. Mahmud writes [referencing the 18th but meaning the 19th]: "This morning `Abdu'l-Bahá spoke to the people in the Church of the Divine Paternity. 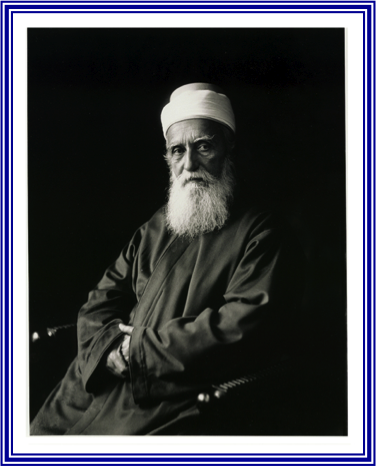 The minister of the church, Dr [Frank Oliver] Hall, spoke at length on the manifestation of the Báb and Bahá'u'lláh, giving a detailed account of the appointed successor and the Covenant of God. 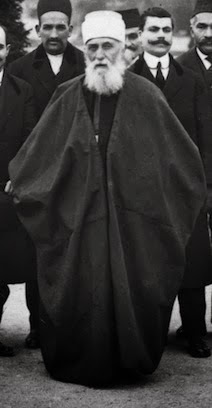 He explained that the meaning of the name of `Abdu'l-Bahá was that He was under the canopy of the Cause of Bahá'u'lláh and concluded by saying that this Cause is the same reality that underlies all the religions of God and will become the cause of brotherhood, concord and universal peace. The beloved Master stood and delivered an address about the unity of religions and the teachings of the new Manifestation in such a way that all were attracted to the divine fragrances. After His talk the audience pleaded with Him to allow them to line up on one side of the podium in order to shake His hand and then leave from the other side. Although they were permitted to do this, there was still such a crowd around the Master's carriage that it was difficult to proceed." 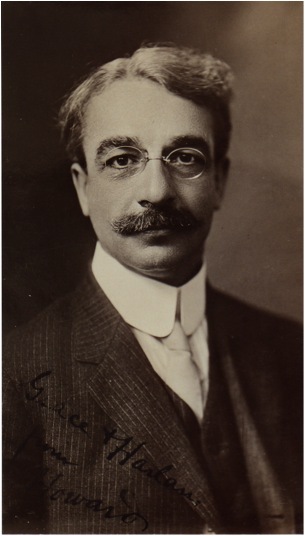 Allan Ward notes that in Hall's introduction he said, "this teaching has the power to bring together men of all classes. . . to the Jew it sounds like Judaism; to the Christian, Christianity; to the Buddhist, Buddhism." (70) It must have been confirming to all present. Juliet’s version of the event is characteristically much more effusive: “On Sunday, 19 May, He spoke at the Church of the Divine Paternity. This was unbearably beautiful. The church is Byzantine, making me think of the worship of the early Christians. The interior is of grey stone. Oh the look of His that day! Then, more vividly than ever, He shone as the Good Shepherd, returned at last to His flocks. I wept through the whole service. At the end of the pew in front of me sat Lua, her eyes fixed on the master, rapt, adoring, her beauty immeasurably heightened by that recognition, that adoration. Soon I caught a glimpse of another rapt face--a man's--my old friend, Mr Bailey's. Mr Bailey is the last person I could have hoped to see there. A very old gentleman, he had always seemed to me a hopelessly unconvertible atheist. At least he would never listen to a word from me about the Cause. And now, here he sat, and never have I seen a face more touched. His eyes were wistful, like a child's, shyly reverent and as limpid as though there were tears in them. He met me that afternoon at the Master's apartment, making his entrance with these words: "I have been thinking since this morning that the way to the attainment of greatness is through elimination." "You felt," I ventured, "'Abdu'l-Bahá's simplicity?" "One would naturally feel,"--huffily--"the simplicity of Niagara." "And the beauty of His Face?" "The patriarchal grandeur of His face cannot be denied." Later, how his eyes hung on that Face while the Master talked with him!" This quality of being enraptured is not something we see often today--even among Baha'is! The early believers seem to have had a luminosity--an otherworldliness. We may have dedication today or even be inspired and motivated to serve--but this quality of rapture still seems rare. Ward says that that evening, He traveled to Jersey City and spoke in the Unitarian Church of which Howard Colby Ives was the pastor. Ives spoke of the generosity of 'Abdu'l-Bahá, how unlike other Orientals who have come to this country, He had not accepted a cent. Ives ended with these stirring words: "My friends, the Kingdom of God is at hand, and I call upon you to recognize it! I call upon you to spread the news on every side! . . ."
Ives was no doubt one of those enraptured ones--like Lua, like Juliet, like Mr. Bailey and hundreds more that will we perhaps never know about. Frank Oliver Hall (March 19, 1860-October 18, 1941) was an inspiring preacher and social gospeler who founded the Universalist Commission on Social Service. 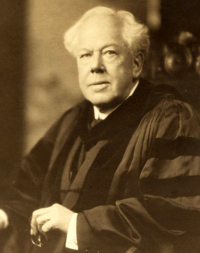 He served thirty-five years as minister of the Church of the Divine Paternity in New York City, and taught homiletics for thirteen years at Crane Theological School, Tufts College. <http://www25-temp.uua.org/uuhs/duub/articles/frankoliverhall.html> BLESS HIM!